May 2018 has already brought six days of searing 90°F+ heat to Minnesota, which is now the second highest number of 90°F+ days in May in the Twin Cities weather record. Though the early heat wave did come on the heels of an April that was the snowiest on record, climate change projections indicate that this unusually early heat wave is part of a larger trend. Such anomalously high temperatures can create serious challenges for Arboretum plants and animals. New growth in spring has high water and energy requirements. This is especially true when plants are putting out new reproductive growth. Hot temperatures may damage floral bud development so that plants do not produce flowers, especially extended periods of warm nights. Heat may also disrupt the process of photosynthesis, weakening plants’ abilities to take in CO2. Hot temperatures and relatively dry weather may increase transpiration, or the evaporation of water off the surface of leaves. This is because warm air holds more water than cool air, forcing more water out of the plant. Heat stress can be a problem for many large mammals, including humans, deer, and black bears. Large mammals have a lower surface area: volume ratio than smaller mammals. This means their bodies retain heat more easily and lose heat less easily than smaller mammals. Unlike many large mammals, small mammals can also take shelter in hollow trees and burrows where temperatures remain relatively high. 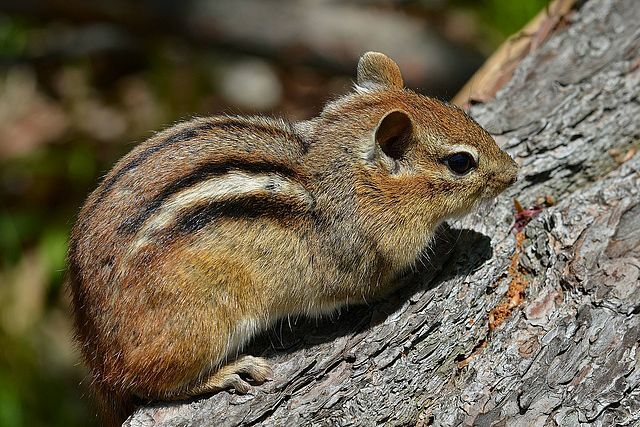 Some even regularly go dormant during the hottest part of the summer, like Thirteen-lined Ground Squirrels and Eastern Chipmunks. External temperatures have somewhat less of an impact on mammals and birds than they do on amphibians and reptiles, which rely on their surroundings to maintain their body temperature. In the Arb, amphibians and reptiles benefit from their small size: Garter Snakes retreat underground, and Leopard Frogs may burrow into the mud at Kettle Hole Marsh to stay cool. As you sizzle through this early season heat wave in your oven-like dorm room, consider the Arboretum flora and fauna and their similar struggles to stay alive without AC.